Catastrophes in Context aims to bring critical attention to the social, political, economic, and cultural structures that create disasters out of natural hazards or political events and that shape the responses. 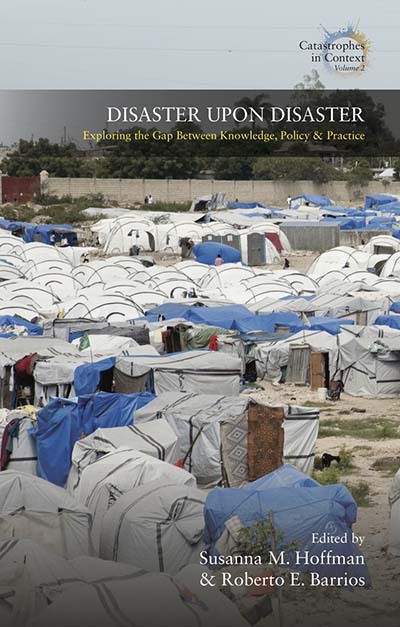 Combining long-term ethnographic fieldwork typical of anthropology and increasingly adopted in similar social science disciplines such as geography and sociology with a comparative frame that enlightens global structures and policy frameworks, Catastrophes in Context includes monographs and edited volumes that bring critical scrutiny to the multiple dimensions of specific disasters and important policy/practice questions for the field of disaster research and management. Theoretically innovative, our goal is to publish readable, lucid texts to be accessible to a wide range of audiences across academic disciplines and specifically practitioners and policymakers. For more information about this series and information about submissions, please consult this guide.